One of the perks of being a teacher is getting a full week off for Thanksgiving. Usually my husband and I take a short trip somewhere right before the holiday, but this year we are staying home. I can't complain because sometimes it's nice to just stay close to home and take some day trips, especially when you live in Los Angeles. 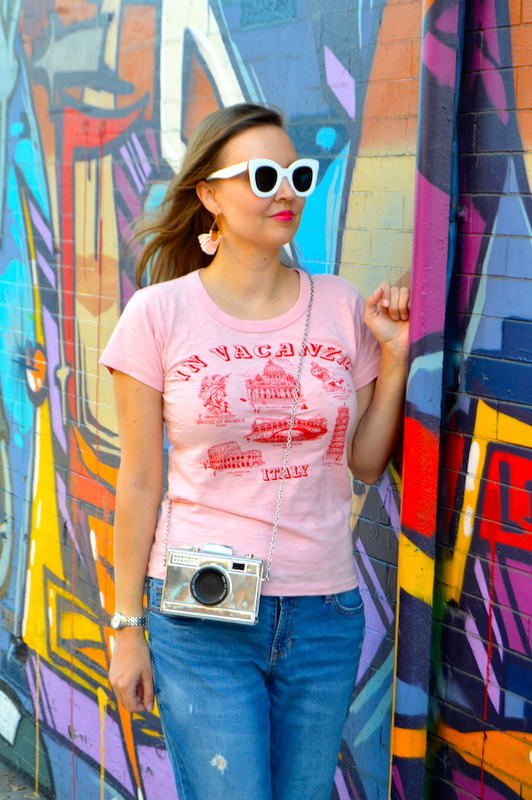 With a growing list of things I want to do and explore, vacation time will definitely give me the opportunity to be a tourist in my own city! When I travel places, I always like to bring DSLR camera because I never know what I will want to take pictures of. 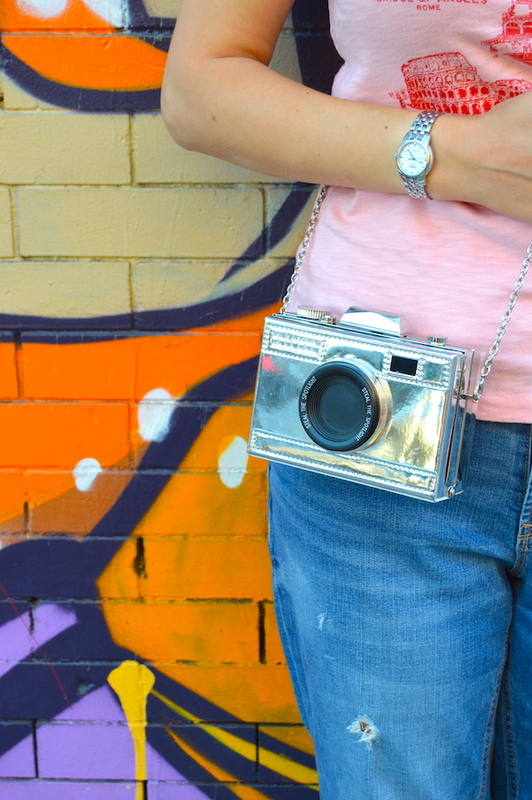 Speaking of cameras, this awesome silver camera bag from Charming Charlie is one of my favorite bags in my collection! 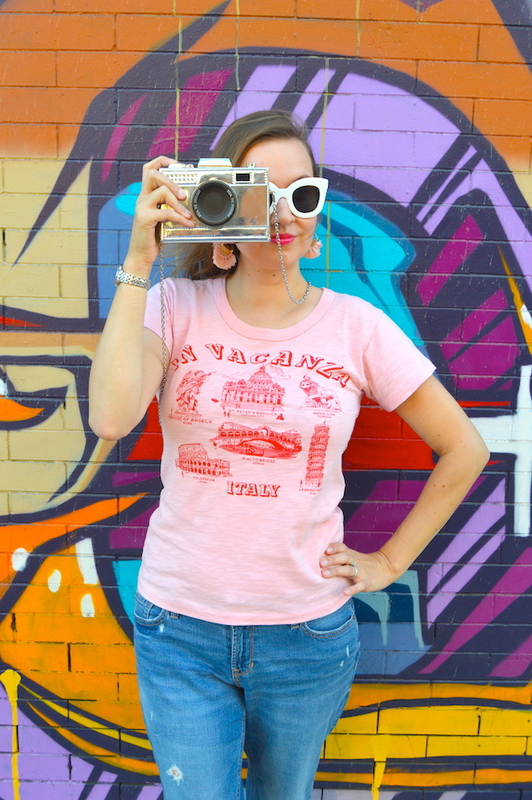 Between my camera handbag and my souvenir Italy tee, I do kind of look like a tourist, although I'm definitely not in Italy, as you can see from the backdrop! 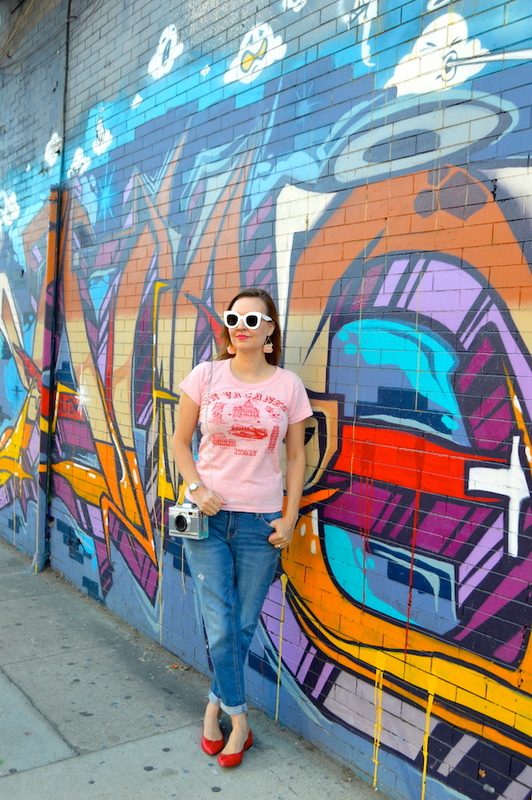 These photos were actually taken in the Arts District of Los Angeles where colorful and graffiti walls are plentiful and make for some great photos for tourists and locals alike. I do love that purse of yours. The pink and red are a great color combo together! 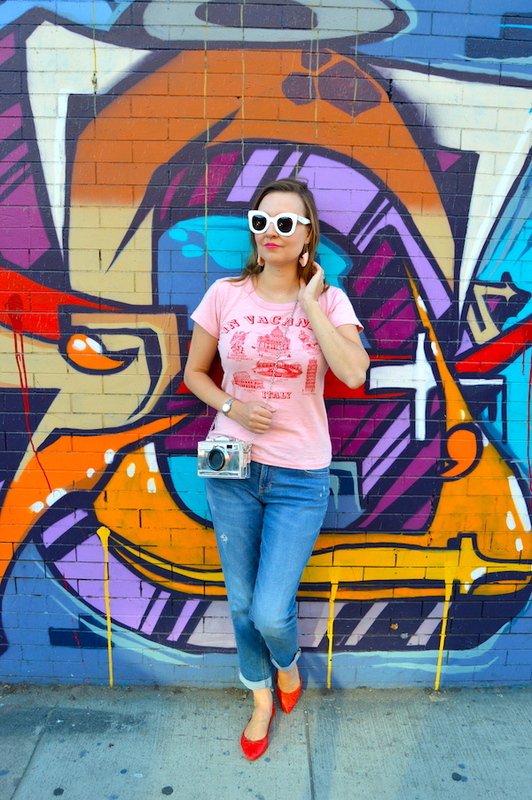 This camera purse is SO fun! Such a cute bag!! How fun! I love your bright colours.